Want to live an ancient city that traces its roots to the dawn of history itself? Would you like to walk to work every day in the footsteps of ancient Greek heroes, Byzantine emperors, medieval crusaders and Ottoman sultans? How cool would it be to live in the only city in the world that spans two continents (Europe and Asia)?! Istanbul is the largest city in Turkey with a population of 13.9 million and it’s the heart of the economy, culture and history of the country. 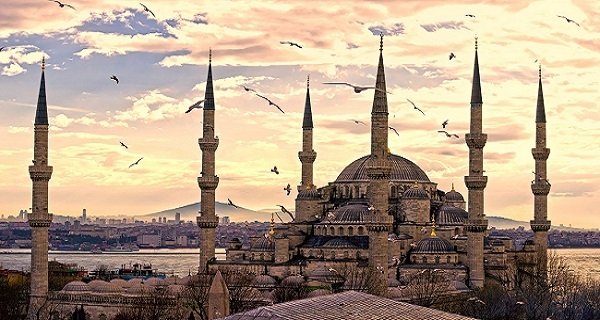 Known as a crossroads of civilizations where East meets West and the center of many great empires, the city once known as Constantinople is also one of the hottest and most dynamic international cities of the 21st century. Recently dubbed the "World's hippest city" by LonelyPlanet.com Istanbul is abuzz with high tech commerce, a vibrant cultural scene and some of the hottest nightlife on the planet. Here you can stroll among the grand domes and minarets of the old Ottoman city feel as though you have been transported to the world of the Arabian Nights. Wander a couple of miles to downtown modern Istanbul and you will discover another world of glass skyscrapers, chic boutiques and state-of-the-art nightclubs. 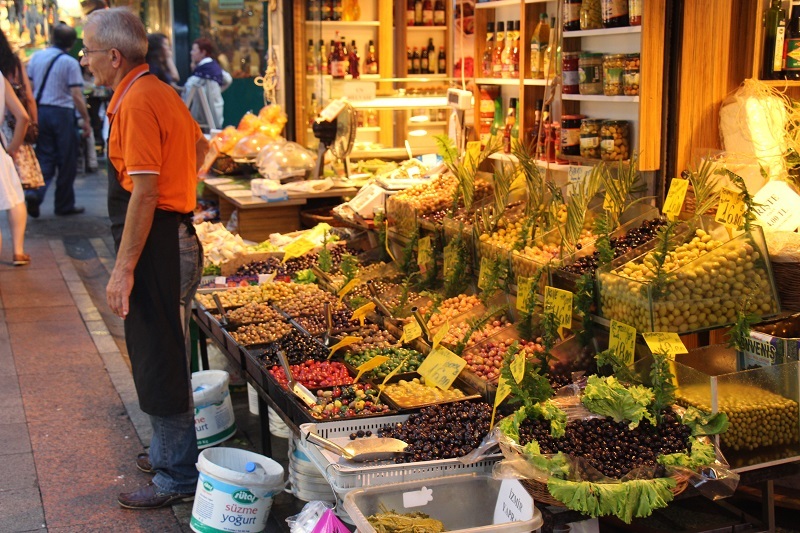 Here you can haggle over spices and carpets in ancient 500-year-old bazaars or scoop up the latest fashions in boutiques that might leave you thinking that you are in Milan or Madrid. 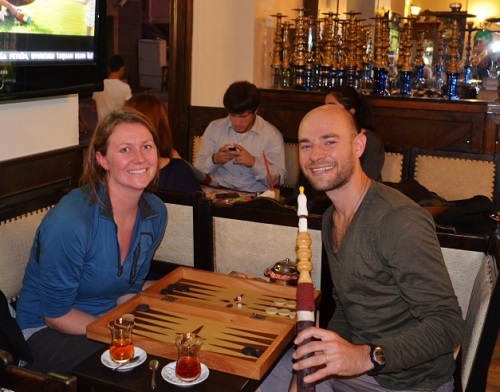 For those looking to teach English abroad and to enjoy the international adventure of a lifetime in one of the world's truly great cities, Istanbul is hard to beat. Where else can you wake up in Asia and commute to your daily job in Europe or vice versa? Istanbul physically and metaphorically bridges Europe and Asia and the blend of cultural influences is very much evident in the city's personality, its architecture and even its food! The two sides of the city are separated by the Bosporus Straits, which has been major thoroughfare for trade and cultural exchange for thousands of years. It also makes for one of the most stunning skylines in the world and provides an ideal setting for a sunset cruise. From 1453 - 1922, Istanbul served as capital of the Ottoman Empire, whose sultans left behind a grand architectural legacy that very much shaped the city of today. 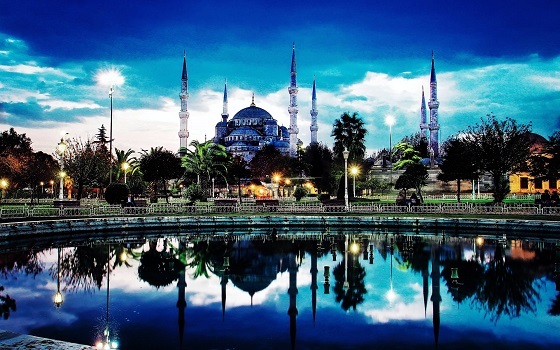 Incredible masterworks like the Blue Mosque and the Süleymaniye Mosque, a spectacular cascade of domes built for the great Sultan Suleiman the Magnificent by the legendary architect Sinan, are considered to be among the great masterpieces of Islamic architecture anywhere in the world. Perhaps the most impressive symbol of the Ottomans' wealth and power is the Topkapi Palace, a grand complex of palaces, barracks and harems that served as the imperial residence and the center of Ottoman power for approximately 400 years. 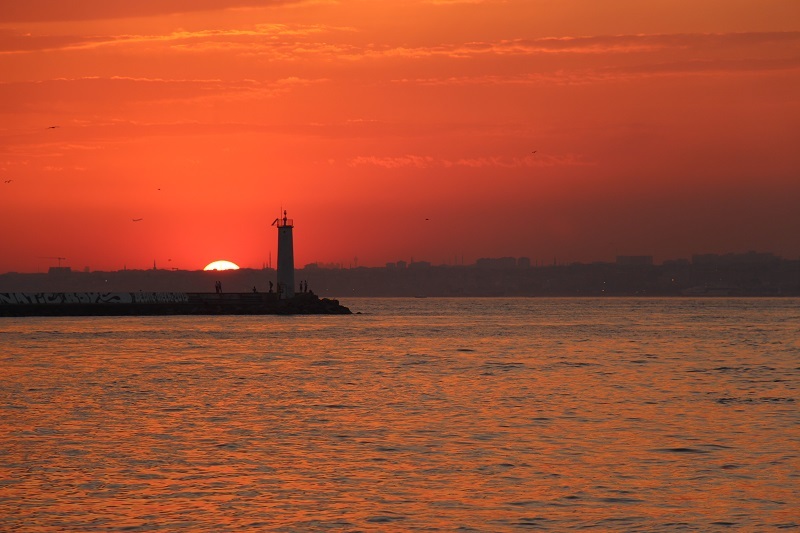 Istanbul has been a focal point of history since its founding by the ancient Greeks. In the fourth century the city became Constantinople, capital of the Byzantine Emperor, and 1000 years later fell to the Ottomans who transformed it into the political and cultural center of the Islamic and Mediterranean worlds for 500 years. Every passing era of history has left its mark on the city and as an English teacher in Istanbul you will discover that there is a point of historical interest literally around every corner. 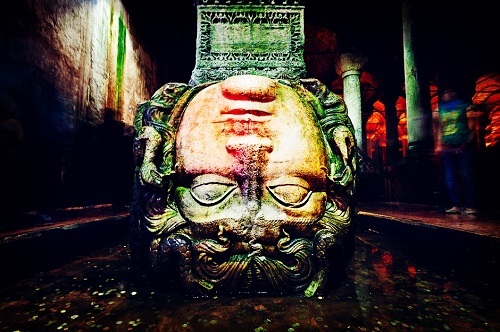 Certain highlights include visiting the Basilica of Cistern to discover the entrancing upside-down face of Medusa, and wandering among the grand halls of Aya Sofya, a monumental Byzantine church turned mosque turned museum. Even the bathhouses in Istanbul are historic and many are centuries old. No journey to Istanbul is complete without a visit to the legendary Grand Bazaar, where merchants and traders from across Europe, the Mediterranean Basin and the Near East have bartered and haggled over all types of goods more than 400 years. Today this vast maze of shops and stalls attracts many tourists who come to shop for carpets and souvenirs, yet the bazaar remains a focal point of daily life for many Istanbulis come to shop for everything from household gifts and textiles to spices and Turkish delight. If you love Middle Eastern and Mediterranean cuisine, Istanbul is heaven as Turkey is well known for being home to perhaps the richest culinary heritage in the region. Combining elements of Greek, Middle Eastern and southwest Asian culinary traditions, Turkish food is known for its fantastic grilled fare, including kebabs and seafood. Many meals and other social gatherings include meze, an assortment of small plates that typically includes pickled vegetables, fresh salads, white cheeses, yoghurt dips, stuffed grape leaves and other tasty delicacies. One of the great institutions of life in Istanbul are the meyhane, taverns where people from all walks of life gather to socialize, drink (usually the Turkish national spirit of raki) and eat meze. 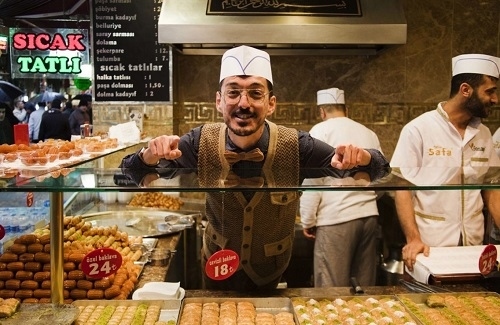 Istanbul is also known for its pastry shops, where some of the finest baklava in the world is sold, and for its traditional coffee shops, where you can enjoy a small cup of the famous Turkish coffee or perhaps some tea and a water pipe - just like the locals! 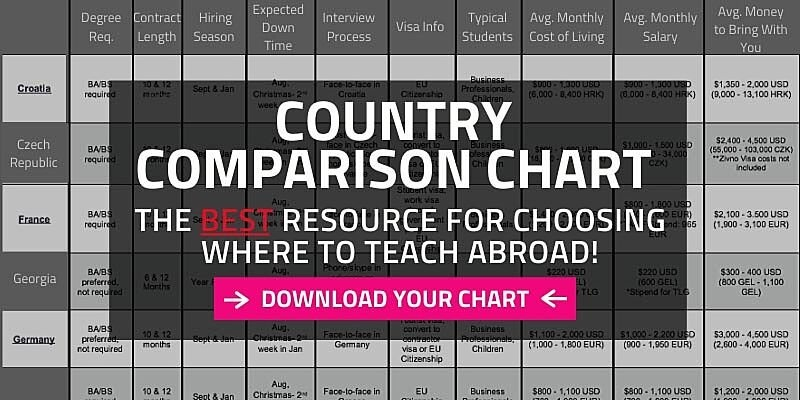 As a major international economic and political power at the crossroads of Asia, the Middle East and Europe, Turkey has generated a huge demand for English instruction and each year thousands of English speakers with a TEFL certification are hired to teach English in Turkey, and Istanbul is by far the largest job markets in the nation. Hundreds of language schools interview and hire foreign English teachers from the U.S., U.K., Canada and elsewhere locally in Istanbul. At the same time, many schools will also interview and recruit teachers directly from their home country in advance, and some teachers may receive a stipend for housing and/or airfare. One advantage of Turkey as a job market for Americans who want to teach English in Europe is that it is routine for schools to sponsor work visas, and this is not always the case in some Western European countries. Also, Istanbul is a major international city and a huge tourist destination, yet the costs for basic necessities like housing, food and leisure are relatively affordable, especially compared to Western European cities like Paris and Barcelona. Living as an English teacher will allow you to live comfortable lifestyle and is very possible to save $ 200-300 a month and to enjoy fantastic travel opportunities throughout Turkey and southeastern Europe. Turkey's Aegean and Mediterranean coastlines are lined with spectacular beaches and some of the finest Greco-Roman ruins in the world, and in the center of the country the entrancing landscapes of Cappadocia are among the most fascinating sights on the planet. 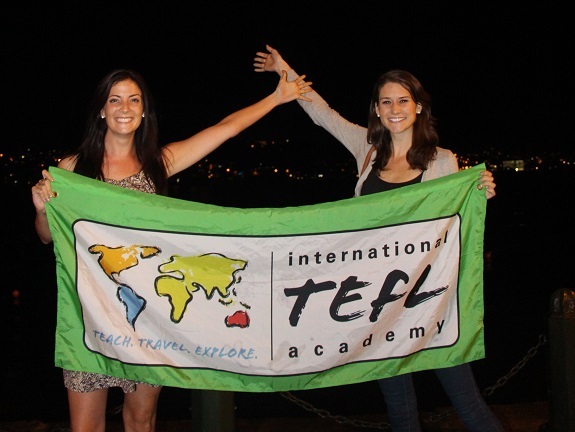 Want to Learn More about Teaching English in Turkey? Request a free brochure or call 773-634-9900 to speak with an expert advisor about all aspects of teaching English in Turkey and around the world, including TEFL certification, the hiring process, salaries, visas and more.